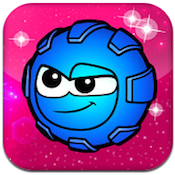 Magnet Boy is an iPhone game developed by Mongol Contentthat bills itself as a blend of puzzle, arcade, and adventure game elements. This expansive game includes 80 levels, though only the first 20 are free to play. 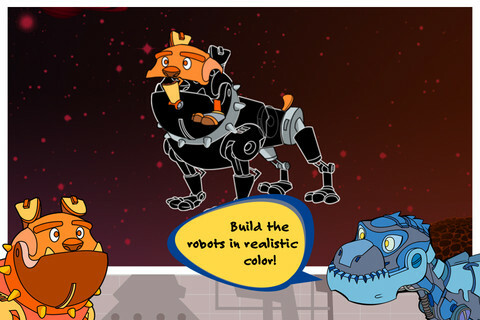 Your goal: pick up robot parts, rebuild broken machines, and gather all-important stars. In Magnet Boy, the story unfolds via a series of comic book-style panels, which are beautifully rendered and thoughtfully lit with a flickering light that really gives the game’s intro a lot of charm. You play as Magnet Boy (surprise, surprise.) 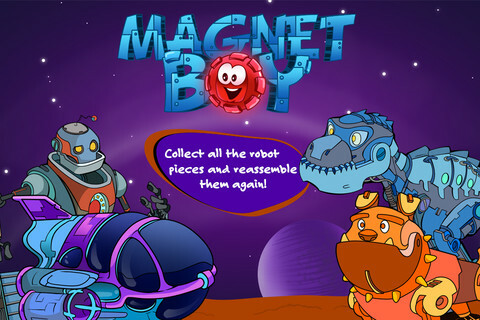 Magnet Boy can stick to both red and blue magnets on the screen. However, jumping from red to red, or blue to blue, will make you bounce away from your target. The controls are pretty basic: touch, drag to aim, and release to go hurtling towards your target. 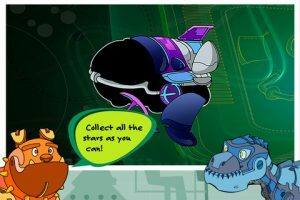 Make sure to gather all the stars you can, as well as the various hunks of metal robot parts. The real selling point with Magnet Boy is its difficulty. It is one of the toughest iPhone games I’ve played in quite some time (and that’s saying something, considering how many new games I play every month for both work and pleasure.) If you want a puzzle title that is truly puzzling, the tricky levels of Magnet Boy are right up your alley. 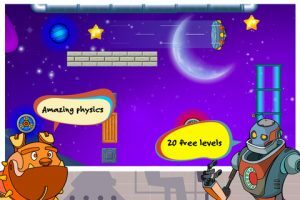 While it is kind of a bummer that you have to pay to unlock the levels after level 20, Magnet Boy does provide users with plenty of content to help them assess whether they want to take the plunge, and that’s nice. With fun, challenging puzzles and a splash of platformer attitude, Magnet Boy is a surprisingly enjoyable iPhone game title for puzzle fans who aren’t easily dismayed by tricky levels. Magnet Boyis compatible with iPhone 3GS, iPhone 4, iPhone 4S, iPhone 5, iPod touch (3rd generation), iPod touch (4th generation), iPod touch (5th generation) and iPad. Requires iOS 4.3 or later.